A tsunami warning has been issued after a strong, 7.5-magnitude quake hit near the Solomon Islands in the southwestern Pacific for the second time in hours. It follows a 7.6-quake that rocked the region overnight. The shallow earthquake, originally registered at 7.7 magnitude, but later revised down to 7.5, was centered about 114 kilometers south of Kirakira in the Solomon Islands, at a depth of 20 kilometers, the US Geological Survey reported. An aftershock quake of 5.7 magnitude followed the initial one just minutes after. A tsunami warning was immediatly issued for the Solomon Islands, Vanuatu and Papua New Guinea, according to the Pacific Tsunami Warning Center. 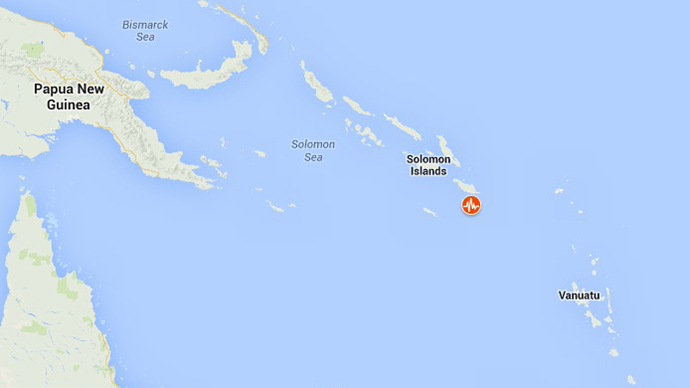 Small tsunami waves have been detected in the Solomon Islands, while the warning was canceled for all areas. The previous quake, estimated at 7.6, hit the region overnight. It struck 100 kilometers southeast of Kirakira at a depth of almost 30 kilometers. A tsunami warning was also issued for the first quake, but it lasted only for a few hours. The Vanuatu Meteorological Service has issued a separate warning saying that the initial tsunami wave is estimated to hit the islands of Vanuatu about 12:45 am local time Monday. 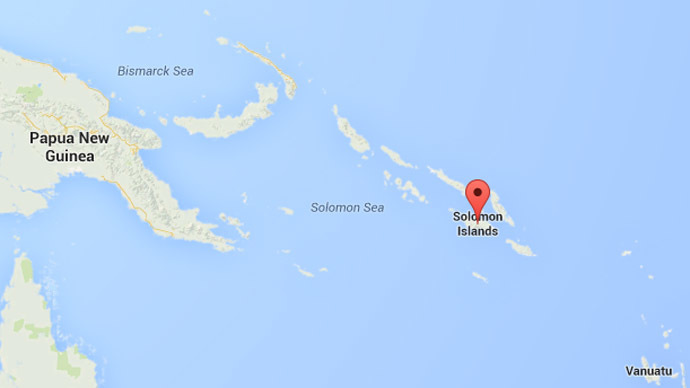 The Solomon Islands are a sovereign country consisting of a large number of islands in Oceania, lying to the east of Papua New Guinea and covering a land area of 28,400 square kilometers. They are located on the eastern margin of the Australia plate, which is one of the most seismically active areas of the world due to high rates of convergence between the Australia and Pacific tectonic plates. 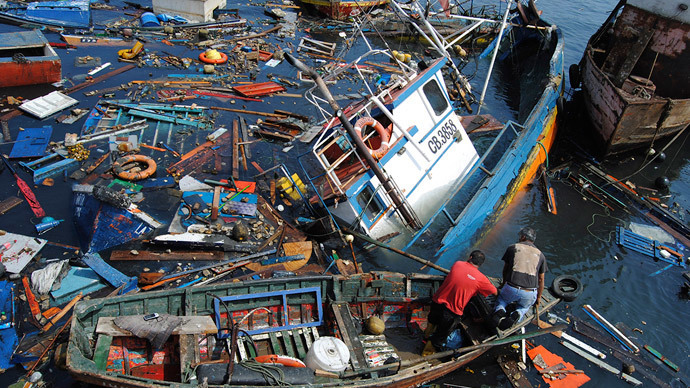 In early April Chile was rocked by several earthquakes that killed six people and displaced almost 1 million. 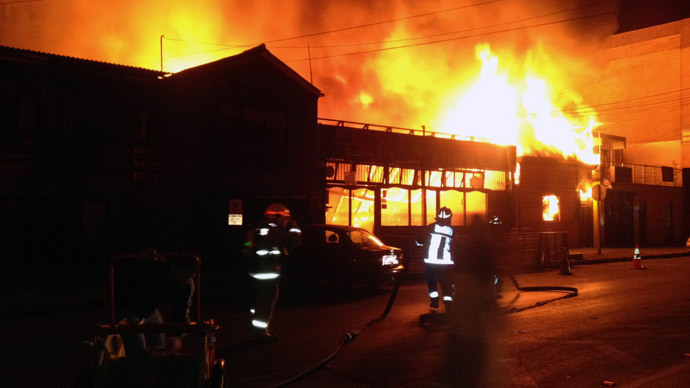 The quakes triggered deadly fires, which killed eight people and left at least 3,000 people homeless. How much will the Chile quake cost?